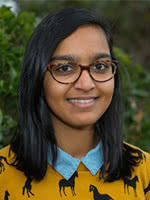 Zoya Patel is Communications and Advocacy Officer at YWCA Canberra and is a writer, editor and founder of online feminist arts and literature journal,Feminartsy. Zoya is the 2015 ACT Young Woman of the Year, for her commitment to championing women’s voices in the media. She was also the recipient of the 2014 Edna Ryan Award for making a feminist difference in the media, one of HerCanberra’s 15 Women to Watch in 2015, and the 2014 recipient of the Anne Edgeworth Young Writers’ Fellowship. Zoya has received numerous awards for her writing, and is a Seziure Viva La Novella editor for 2015. She currently writes a column for Right Now, and was Media and Marketing Manager for You Are Here festival in 2015. Zoya is the former editor-in-chief of Lip Magazine, and is currently completing her Master of Communications. An engaging presenter, seasoned facilitator, business leader and coach, Heather blends over 20 years of global leadership experience with Fortune 500 companies with Roar People’s reputation for world-class professional development programs and coaching. Heather has held senior leadership positions in the US and Australia within global financial services organisations, including Mercer, Russell Investments and Principal Financial Group. Her leadership experiences – from managing start up divisions, to leading high performing sales teams; to running a division with US$200 million in annual revenue – enables her to uniquely understand the issues facing leaders today. A native of the Midwest of the United States, Heather holds a Bachelor of Science in Business from the University of Nebraska with a professional certificate in executive coaching from the Institute of Coaching and Coaching Psychology, Sydney Australia. 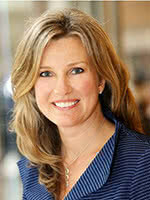 She is an alumnus of Chief Executive Women (CEW). 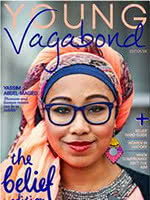 Young Vagabond is an online magazine and community that was launched in 2012 to further the empowerment and equality of women around the world. YV focuses on adventure, discovery & acceptance, features passionate young women who push the boundaries, and encourages others just like them to do the same. 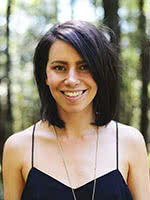 She’s written for many publications including The Guardian, Daily Life, The ABC, Mamamia, Frankie magazine and BlogHer. She’s used her blog to write about her skin condition, Ichthyosis, as well as promoted causes such as Love Your Sister and Donate Life. Most recently, Carly was named as one of Australia’s most influential women in the Australian Financial Review and Westpac 100 Women of Influence Awards for 2014. 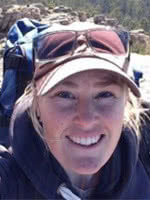 Carly received the 2010 and 2013 Yooralla Media Awards for Best Online Commentary for her body of disability focused writing. She also won the best personal blog category for Kidspot Voices of 2013, and the 2013 BUPA Health Activist award for Positive Life Change. She’s also been a finalist in the Best Australian Blogs competition in 2011, 2012 and 2014. Carly is an accomplished speaker – she’s spoken at the University of Western England’s Appearance Matters conference, the Melbourne Writer’s Festival, Problogger, University of Melbourne, Royal Melbourne hospital and Cancer Council of Victoria (to name a few). Pia Waugh is an open government and open data ninja , working within the machine to enable greater transparency, democratic engagement, citizen-centric design and real, pragmatic actual innovation in the public sector and beyond. She believes that tech culture has a huge role to play in achieving better policy planning, outcomes, public engagement and a better public service all round. She is also trying to do her part in establishing greater public benefit from publicly funded data, software and research. Pia was awarded as one of the Top 100 Most Influential Women in Australia for 2014. When Sally Moylan is not trail blazing oppositions with her off spin and aggressive batting style playing WNCL with the ACT Meteors she’s a full time horticulturalist for the parks and presentation team within TAMS. She’s passionate about leading a positive, healthy and active life, whether it’s challenging or pushing herself to the limit on a sporting field or working outdoors or tackling and exploring the many wonders the environment offers. 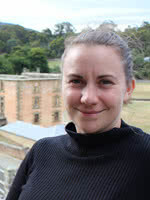 In 2014 sally was named ACT and Australian Aboriginal and Torres Strait Islander of the year for her Horticulture, Conservation and Land Management studies. Driven by the fact of wanting to be a positive and strong role model for her people and in the hope to inspire them to do what they’ve always dreamt of doing she became an ambassador for VET Training and is looking to volunteer and mentor young Indigenous and disadvantaged kids within the community. Sally was also named as one of the 15 women to watch in 2015 by HerCanberra acknowledging her achievements within cricket, work and study. As a passionate advocate for gender equality, Ashleigh’s key focus is on how we can best prepare the youth of Australia – our next generation of leaders – to push back against society’s expectations that currently encourage them to look, feel and act a certain way. Ashleigh believes that through empowering young women and men through Young Vagabond workshops by deconstructing gender stereotypes of femininity and masculinity we will have a generation that understand their true potential and can work together as equals for a better future. Ashleigh has attended the G20 Young Entrepreneurs’ Alliance Summit in Russia, is a Young Social Pioneer with the Foundation for Young Australians, and was recognised as one of 25 Future Makers under the age of 25 by Startup Smart. In addition to her work at Young Vagabond, Ashleigh is a Business Analyst in a digital agency that focuses on having a social impact. 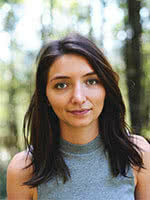 Haylee balances a fierce passion for the empowerment of women with her desire to create honest, alternative media. A vocal advocate for the rights of young women, she speaks and writes regularly on feminist topics. As the editor of Young Vagabond magazine and Creative Director of the company, she’s passionate about building YV to be a powerful, feminist brand, and an organisation to support, celebrate and nurture current and future generations of young women.